Scroll down for a gallery of previous designs, or to get a quote! Please contact me for full custom orders and I will create a listing for the number of candles you would like to order. For pricing, feel free to click on “Get a Quote” and let me know your details. I will contact you within 24-48 hours to get you a price and custom listing. Perfect for bridal showers, baby showers, wedding favors or any other event or party favors. Images in this listing are of candles created for previous events using customer design specs. Your candles will have your design customized for your event. Provide your own design or I will design based on your specifications. – A few lines of text in a variety of font styles. Please request your favorite fragrance or fragrances. Chances are good that I can provide anything you request! Wax is soy, which is a milky creamy clean-burning wax that burns 30% longer than paraffin. Wicks are 100% Cotton, Lead-free. Convo me with your requests and I will make a custom listing for the corresponding number of guests, design details, fragrance and wax color preference choices. Be creative! 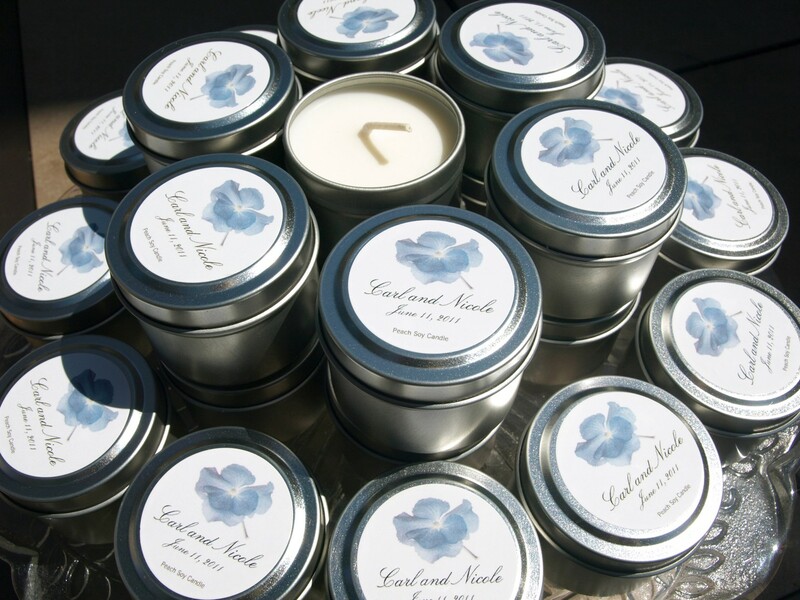 I am a graphic designer, which means I can make a great label for your travel candles! If you provide artwork, please be sure that it is not copyright protected, or that you have permission to use the image, photo or artwork. I really don’t want to order 20 candles when I don’t know what the scent is like. I would pay for 2 different scents. My plan is to order 60-70. Great topic Nancy! 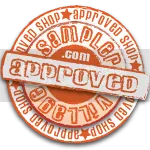 You are welcome to request a custom listing for samples. As long as there is enough time for sampling prior to your event I’m happy to oblige.